On February 28, 2014, the Wichita community will come together for the first-ever Wichita Art Day of Giving (ArtDOG), and we need YOU to join us in raising money for the Museum of World Treasures. It’s 24 hours of unprecedented nonprofit giving—and it’s your chance make a real difference, right here in our community. Matching funds and bonus dollars are available for donations made online. 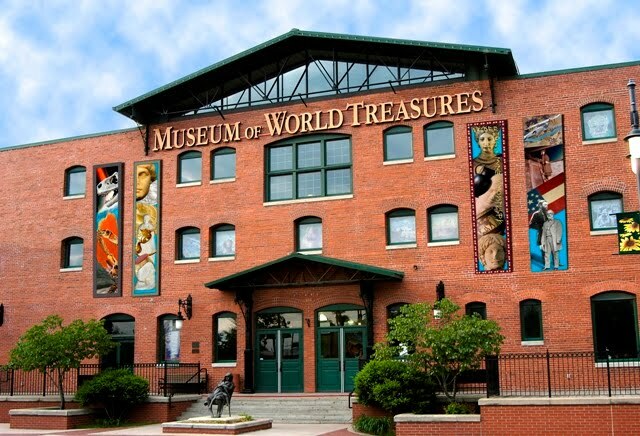 If you love the history, education, or a fun day out with your family, then you love the Museum of World Treasures. By showing your love through ArtDOG, you help sustain this amazing organization, allowing the Museum to offer more exhibits, tours, and educational programs. Please join us in supporting our community on Feb. 28, by donating online. You do not need to wait until February 28 to give; all donations made for this cause starting today will help the Museum attain matching funds. Thank you for your support of our nonprofit, educational mission.